Why made it into the Fantasy Football Team of the Week? We take a look at the top performers from game week 24 of Sky Sports Fantasy Football. Have any of your XI made the Team of the Week? Heaton made four saves and kept a second clean sheet in four matches as Burnley maintained their unbeaten start to 2019. A Sky Sports Man of the Match performance allowed Heaton to pick up 14 Fantasy Football points, meaning he has now registered 26 in his four games since returning from injury. The Manchester City defender has been included in the Sky Sports Fantasy Football Team of the Week for a second successive week after registering a hefty 19 points from his goal and a consecutive clean sheets. The Brazilian earned tier two passing bonus points for the second week in a row, while registering tier one tackling bonus points too. Danilo has now amassed 29 points from his last two games. 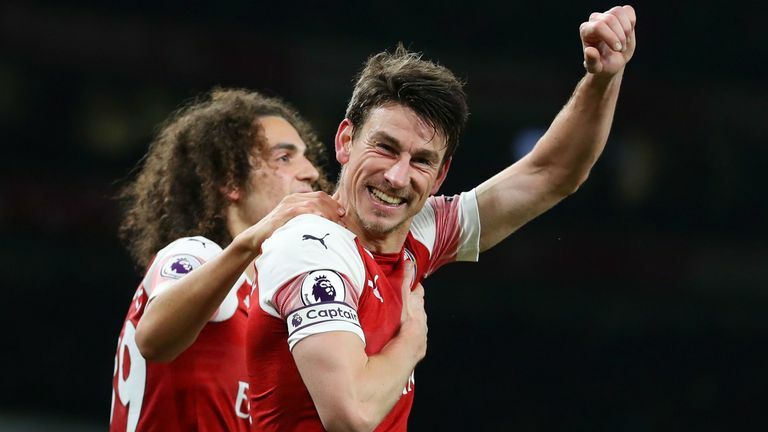 A Sky Sports man-of-the-match performance from Koscielny may well have silenced some of his critics, keeping a clean sheet against a strong Chelsea side at the Emirates. The centre-half doubled Arsenal's lead and defended resolutely to ensure Unai Emery's men earned all three points. The cheapest player in this Team of the Week has the highest amount of points, alongside Diogo Jota, indicating how well Schar performed at the weekend. The Swiss defender claimed a brace in Newcastle's win over Cardiff, keeping a clean sheet and claiming the MOTM award - his third one of the season. 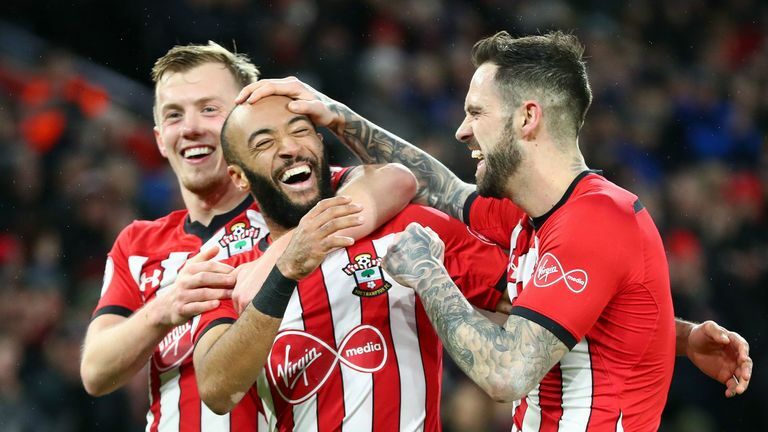 Ward-Prowse scored Southampton's opener in their win over Everton, subsequently lifting Ralph Hasenhuttl's side to 15th place and three points clear of the drop zone. The midfielder did enough to earn a man of the match award, his first one of the season, while now making it two goals and two wins from two for Southampton. The Liverpool captain was back to his best as he put in a man-of-the-match performance in the league leaders' entertaining win over Crystal Palace. The Englishman attained tier one tackling bonus points as well as tier two passing bonus points in order to earn his highest tally of the season so far with 12 Fantasy Football points. Only a shrewd 0.6 per cent of Sky Sports Fantasy Football players benefited from having the youngster in their team after his display on Sunday. 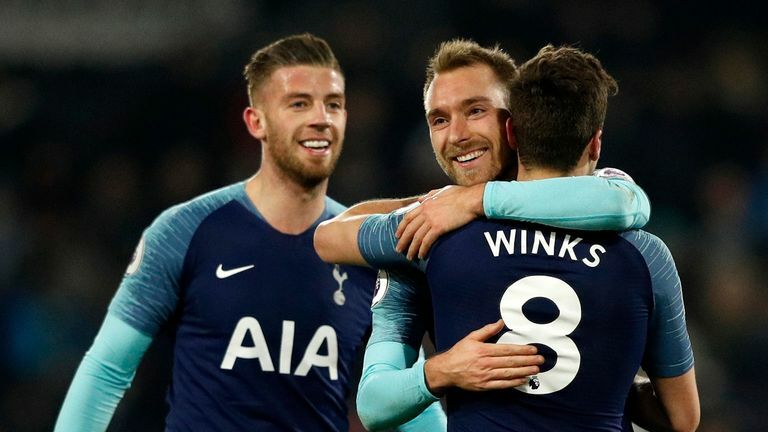 Winks grabbed the late winner at Craven Cottage with his first goal of the season and a well-earned man-of-the-match award followed his fine performance, clocking up tier two passing bonus points too. The Man City winger enjoyed his Sunday afternoon in Huddersfield, testing their defence for large periods of the game. Sane notched City's third and final goal to seal the three points, while claiming an assist too. The German has now picked up 29 points from his last three matches, contributing to his total of 133 this term. Tied for the highest score from game week 24, Jota racked up just under 40 per cent of his Sky Sports Fantasy Football total from this match. 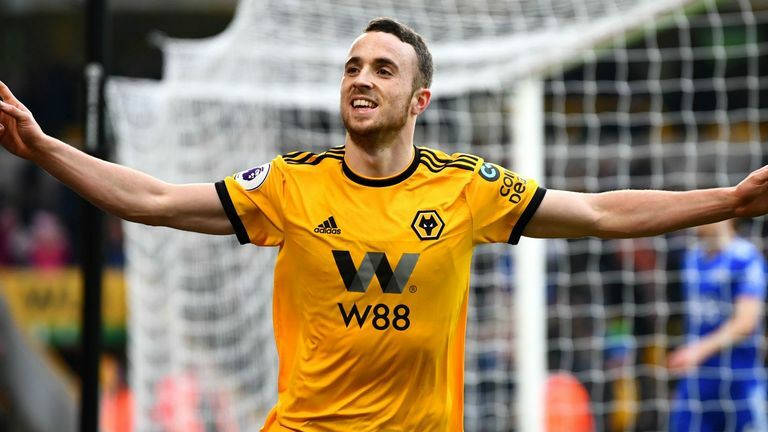 Jota's hat-trick ultimately sunk Leicester, but in dramatic style as the last of his three came in stoppage time to give Wolves the win. The England frontman found the net for the 10th time this campaign as Bournemouth saw off West Ham. Despite being involved in 18 goals this year, only 8.1 per cent of Sky Sports Fantasy Football bosses have him in their teams. Last year's Premier League Golden Boot winner added two more to this season's tally in Liverpool's win over Crystal Palace, claiming his 50th Premier League goal in the process, and his 16th goal of the season, putting him well in line to make it successive seasons as the Premier League's top scorer. This points total now puts Salah level with his team-mate Virgil van Dijk as the highest points scorer in Sky Sports Fantasy Football this season.